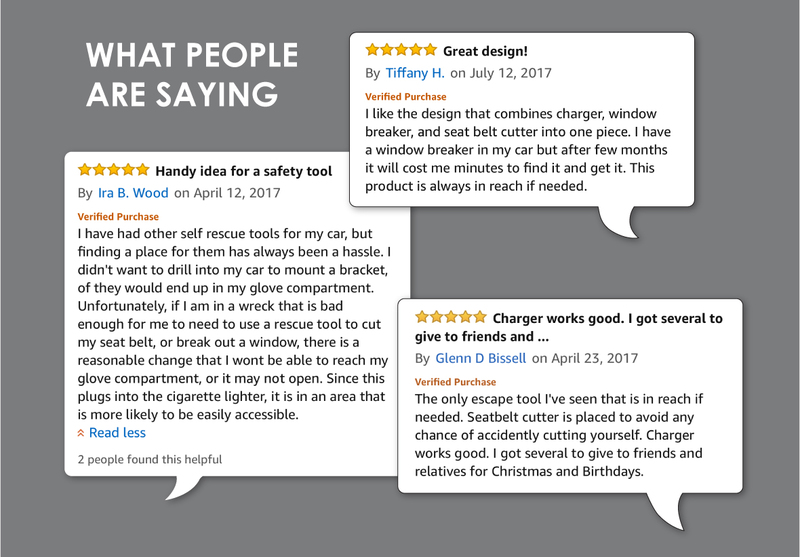 Emergency tools that include a window breaker and seat belt cutter have been around for many years. The problem with existing emergency tools is that after a while, you forget where it is. We found that many emergency tools become lost or are not within arm's reach during an accident. 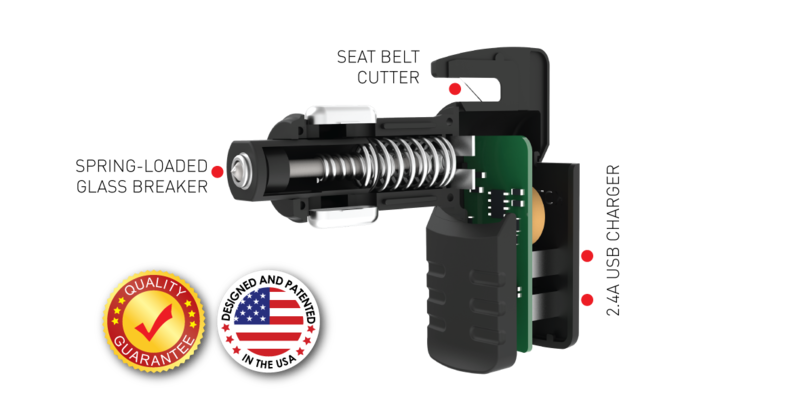 The Stinger is a one of a kind, patented emergency escape tool that can be integrated into everyday life. Mark Steines said it best. 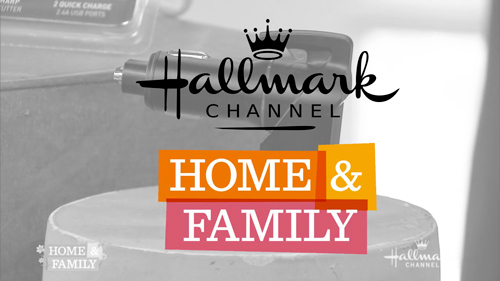 "It's hard to break car glass, unless you have one of these"
The Stinger was recently featured on the Home and Family show on the Hallmark Channel. 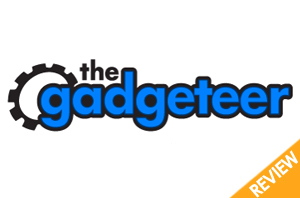 They reviewed the Stinger USB Emergency Tool in a segment about emergency gear and gadgets. 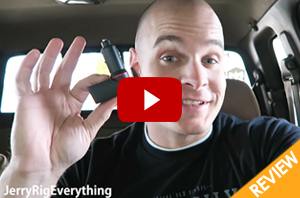 Car Charger That Will Save Your Life! 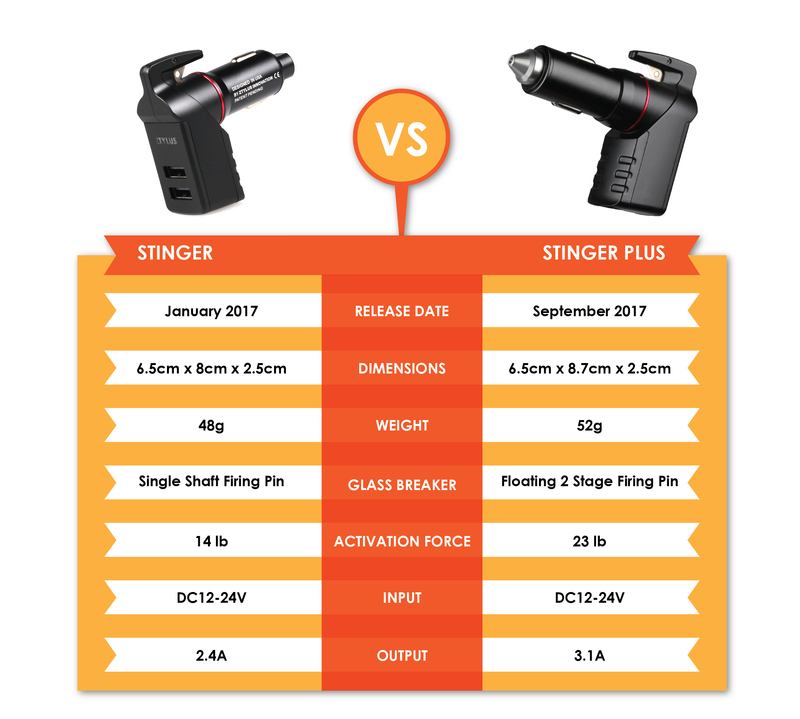 Honest Outlaw Reviews tested out our Stinger Emergency Tool and thought the spring loaded glass breaker was exceptional! 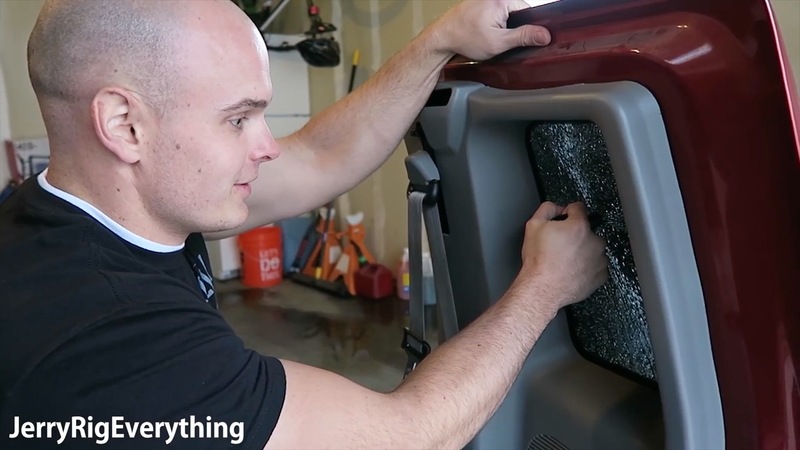 Zack from JerryRigEverything is a popular YouTuber that tests, fixes and reviews all sorts of products. After testing the glass breaker on a car window and the razor sharp seat belt cutter, even he was surprised at how quick and easy it was to use. In an emergency situation, being able to act quickly can mean the difference between life and death. We are extremely proud of our Stinger Emergency Tool and in order to help out our local community, we have been donating them to our local Houston Fire Department. We showed them the benefits of our tool and needless to say, they were a huge fan. The driver engineer said in all of his years in emergency services, this is the BEST product that he's ever seen! They loved it so much that one quickly made its way into their fire truck! Other emergency tools are usually stored in a side pocket, attached to a keychain, locked in a glove box, or in the trunk of a car. If an accident were to occur, these tools may not be reachable during an accident. Our multifunctional design keeps the emergency tool within reasonable reach when needed. It serves an everyday function, so if there is a critical situation, it will always be easily accessible to you. The STINGER is an escape tool that is designed to avoid entrapment within a vehicle after experiencing a car accident. The spring loaded punch works easily and quickly to give you the best chance for escaping your vehicle. The Stinger will only break tempered glass. 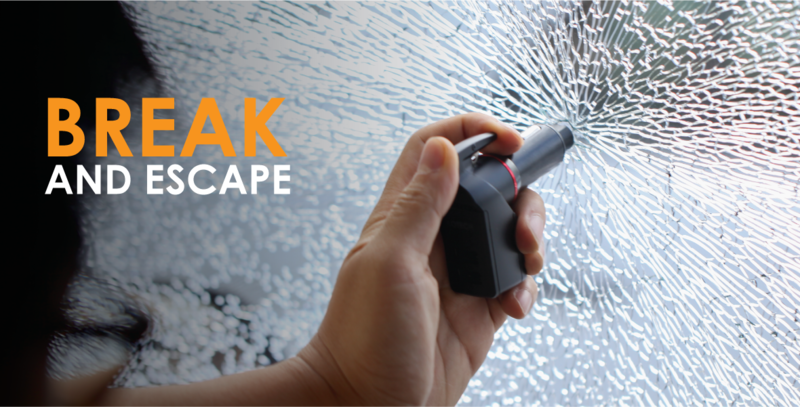 It is not designed to break windshields or laminated glass. 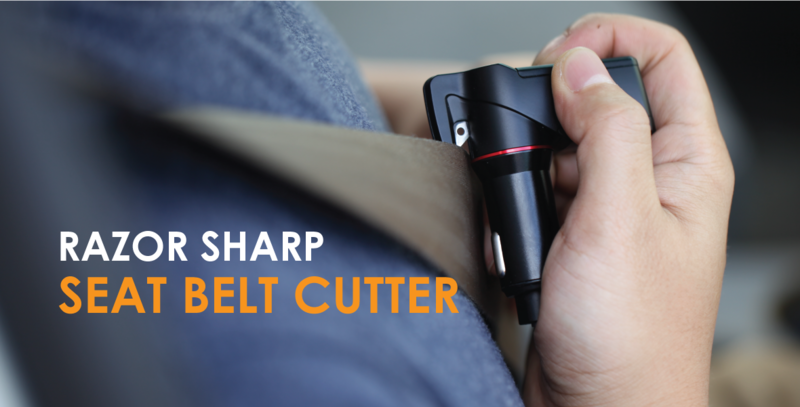 The emergency escape tool comes with a razor sharp blade to help you cut your seat belt if you find yourself unable to release it normally. We tested our blade on a 5000 lbs towing strap so you can be sure it works if you are in an emergency. 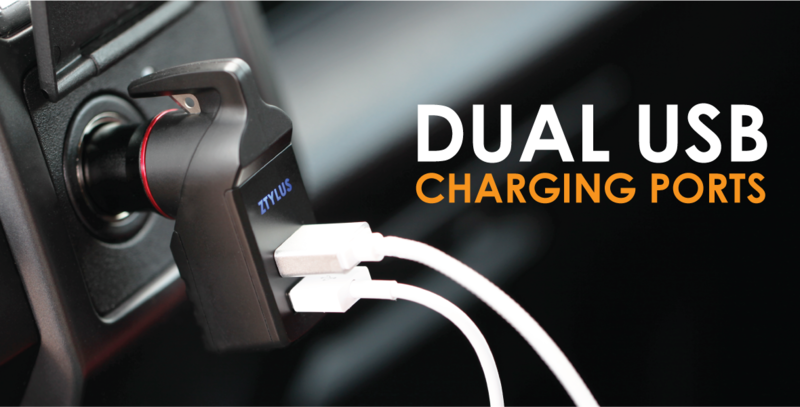 Our unique innovation doubles as a dual USB port charger, which plugs into your car charger for high speed charging. 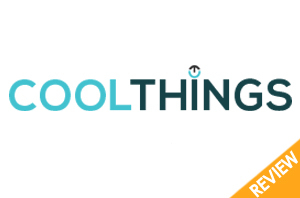 It features an intelligent circuit design to protect against short circuiting, over-heating, over-currents and over-charging. The input of the emergency escape tool is 12-24V and has an output of 5V, 3.0A. 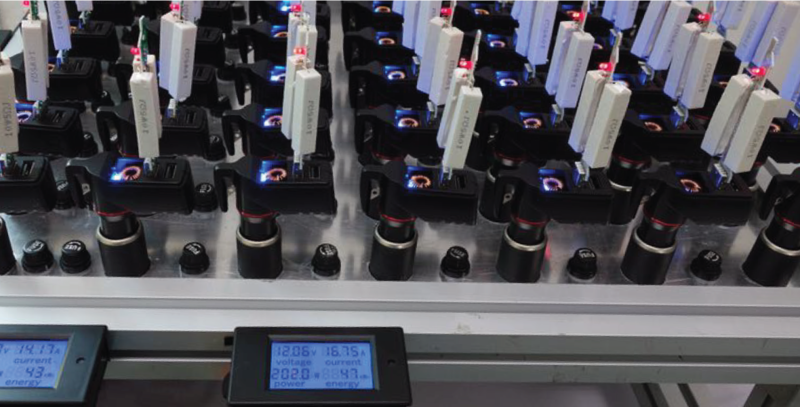 Each and every USB Emergency Tool that comes off of our production line goes through a comprehensive series of stress tests to ensure solid and consistent performance during use. Being prepared is always a good thing. Always. 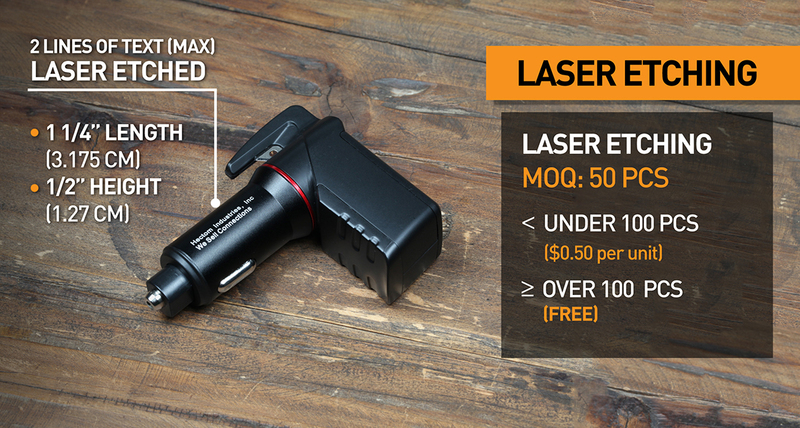 This one looks just like any other car charger, BUT it has some special features that are life saving. This car charger is a lifesaver. No, not because it’ll power your phone when you’re desperately low on battery and you need to use Google Maps… but actually because this bad-boy is your ticket to surviving a car crash. 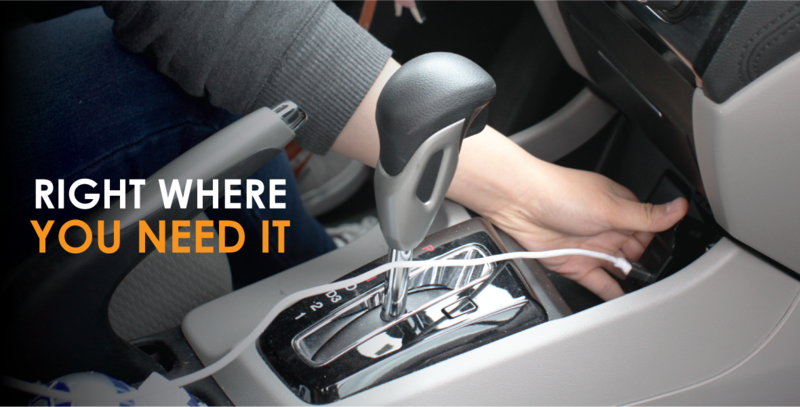 It’s designed to always be plugged to the car’s cigarette lighter outlet, ensuring you don’t have to dig inside your pockets, reach for a bag in the backseat, or try to get to the glove compartment to get access. It's hard to break car glass, unless you have one of these. This is super easy to do. This smartly-designed device packs a spring-loaded glass breaker and a seat belt cutter, which can save your life if you’re ever in a car crash. 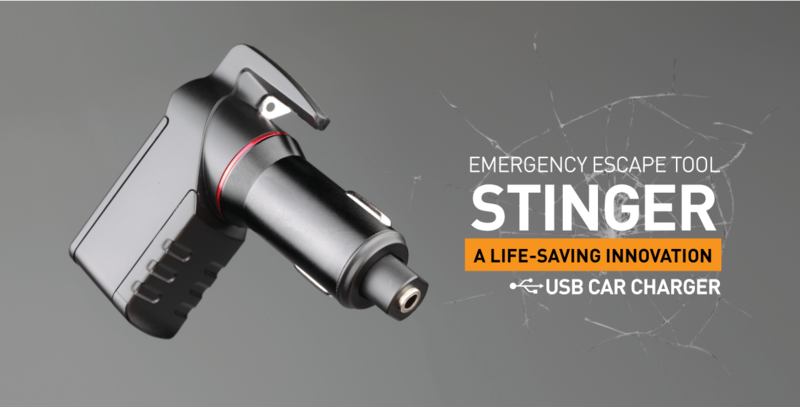 The Stinger not only allows you to charge two USB devices at the same time but if you get trapped in your car due to an accident, you can use the Stinger to shatter one of your side windows and cut through your seat belt. 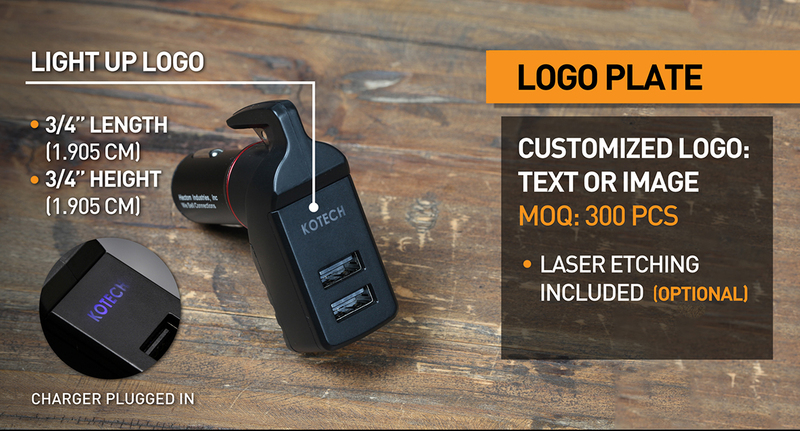 Our Stinger USB Emergency Tool can be customized for your business! 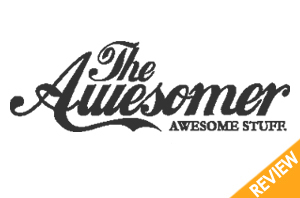 It makes the perfect item for your store, a thoughtful corporate gift, or a unique promotional item for your business. We can laser etch any text on the side and have your own logo on the light up plate. For more information, please contact us at info@ztylus.com. Are you interested in working with Ztylus? 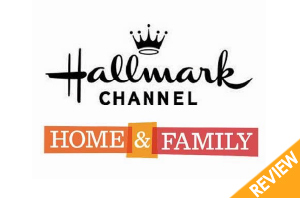 We have an award winning team that has won multiple awards for our products. There are a lot of opportunities to work together. 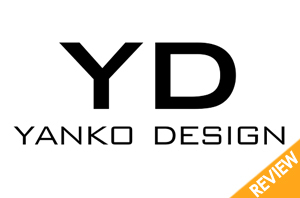 If you’re interested in becoming our partner or distributor, or if you would like to work with us and join a fun-loving and hard-working team, please contact us at info@ztylus.com.